In the end, we knew this would be a typical Patriots-Jets game in the Meadowlands. The Patriots were very much up and down in the first half in all phases of the game, but played much better in the second half, dominating the Jets with a punishing ground game, pulling away to beat the Jets 27-13. We’ll get to our observations but first some quick hitters for the history buffs. The win which put the Patriots at 8-3, guarantees New England a .500 record or better for 18 straight years. The Dallas Cowboys have the NFL record with 21. And Tom Brady set the NFL record for most yards passing in his career, both regular and postseason, passing Peyton Manning. Surprisingly, (perhaps not so), it scarcely got a mention on the telecast and the NFL? Crickets. **Update**: The Steelers lost in Denver and the Patriots are now the #2 seed behind Kansas City. The two teams will play in Pittsburgh later this year, but the Steelers also have games next week against the Chargers and the Saints after they play the Patriots. Running Game Set the tone: The Patriots offensive line took this game over in the second half. After being tied at 10 at halftime, the Pats outscored the Jets 17-3 and they did it with the running game. 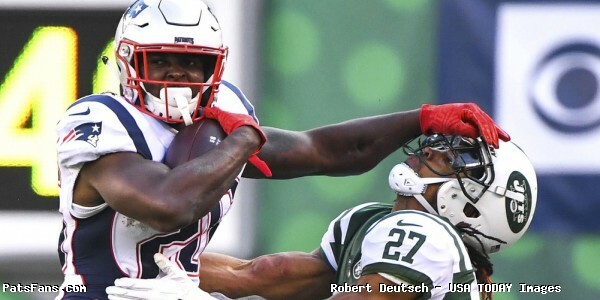 Sony Michel was excellent, rushing 21 times for 133 yards and a TD. NE ran for 215 yards, the most since the Jonas Gray game in Indy. James White added 73 yards on nine carries. Welcome Back Gronk: The Patriots big man made his return to the field, for the first time in nearly a month and his impact was felt in both the passing and running games. He had three catches for 56 yards, including a beautifully thrown ball for a 34-yard touchdown by Brady. That was an encouraging sign. It was his first TD since Week 1 against Houston. Bowles Plays by the Book and it Costs Him: In the first quarter, the Patriots were facing a 3rd and 2 from the Jets 24. Brady tried a deep pass to Edelman that was incomplete. James White was flagged for a ticky-tack offensive pass interference. Rather than let the Pats attempt a 41-yard goal, Jets coach Todd Bowles took the penalty, giving Brady another 3rd down shot on the Jets 34 with 12 yards to go. That’s when Brady hit Gronkowski down the seam for a TD. Containment Still an Issue: We have heard ad nauseam about containing mobile quarterbacks, but what about a 39-year old journeyman? Too many times today and it has been an issue all season, the Patriots edge players were running past Josh McCown and allowing him to step up and throw the ball or scramble for yardage. Brady Bum Knee? Not Visible: Tom Brady played well today and completed 20-31 for 283 yards with 2 TDs, the 34-yarder to Gronk and a 21-yard play to Julian Edelman. He averaged 9.1 yards per attempt and his QB rating was 115.4. He set another personal milestone passing Manning but that is nary a mention, even among the team. Best of all, Brady was spreading the ball around. Eight different receivers caught passes today…much more like it. Defense-Tight Ends and Backs in the Passing game: The Patriots defense is facing the same thing every week, as teams have recognized what their weakness is and are exploiting it. They have issues covering opposing tight ends and backs out of the backfield are making the LBs appear really slow in coverage. Offense Thy Name is Versatility: With Michel and White setting the tone on the ground, the Patriots rolled up nearly 500 yards of offense. Getting Shaq Mason back was a boost in the running game. But as we mentioned above, Brady shared the wealth in the passing game. Edelman led the way with 84 yards on four catches, Josh Gordon had 70 yards on five catches, Gronk with 56 on 3 grabs and Chris Hogan had two catches for 47 yards. Penalties were a Thorn in the Backside: Coming into the game, the television crew mentioned that this refereeing team led by Ed Hochuli’s son, called the most penalties per game in the NFL. And they wasted little time in making their presence felt. The Patriots were flagged a season-high 11 times for 105 yards. Normally, I’d say here, this is something that the Patriots need to clean up. But they are never penalized much and this is the outlier. Today was more about the officiating crew than it was about the team. The Play-calling, especially in the Red Zone: The Patriots, as we mentioned above rolled up almost 500 yards of offense…so scoring 27 points is low for that kind of day. The play calling by Josh McDaniels is getting very predictable in the red zone is a constant area where the team leaves points on the field every week. Three straight passes after a first and goal from the nine-yard line, the same play run twice with virtually no chance of success. That was an ugly sequence. Melifonwu Plays for His Hometown Team: Newly signed safety Obi Melifonwu saw some defensive snaps and plenty of work in the kicking game. He’s a guy I’d like to see more of in the tight end coverage role. But for his first action with his new team, it was a good debut. Overall, the Patriots got out of the Meadowlands exactly what they wanted/needed. They got a road win in the division at a place where the opponent always plays them tough. They got a lot of their pieces on offense back and rolled up a ton of yardage. Coupled with a late afternoon Pittsburgh loss and the Pats are now the #2 seed. There is plenty of football left to be played and this team still has a long way to go. But things are beginning to fall into place for them. 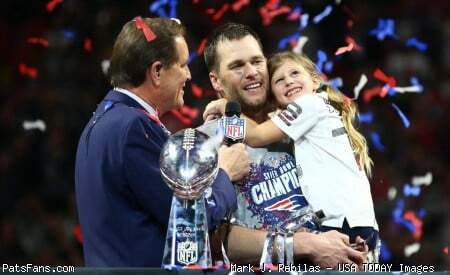 This entry was posted in 2018 Patriots Regular Season, NFL Commentary, NFL News, Patriots Commentary, Patriots Film Room, Patriots News and tagged 2018 Patriots season, Bill Belichick, Buffalo Bills, Chris Hogan, Dont'a Hightower, James White, Julian Edelman, Miami Dolphins, New England Patriots, New York Jets, NFL, Patriots, Patriots edge rushers, Pittsburgh Steelers, Rob Gronkowski, Tom Brady on November 25, 2018 by Steve Balestrieri.